Weekly installment of the week that was, as told by the statistics from the baseball games themselves. Brett Pill had 31 RBIs entering the week, an RBI number held in envy by the rest of the PCL as he was atop the leaderboard. Six games later, and Pill increased his RBI total to 47 RBIs after driving in 16 runs over the week. That is over 2.5 RBIs per game. If Pill only had his RBIs from this past week, he still would rank third on the Grizzlies. Instead, Pill is leading all of baseball in RBIs, drawing affiliated baseball to drool over his gaudy RBI count. That includes Minors and Majors. The highest total in the MLB (though May 12) is Miguel Cabrera of the Detroit Tigers with 40. Pill had 40 midway through last Thursday’s (May 9) game. Kensuke Tanaka had six stolen bases entering the week, which were tied for the most on the Grizzlies. The Grizzlies second baseman then went on to steal 5 bases (in as many chances) to bump his season total to 11. His 11 stolen bases are tied for the third-most in the PCL (through May 12). Tanaka has already nearly matched the Grizzlies’ 2012 stolen base leader, Skyler Stromsmoe and his 13 steals. Tanaka also had 13 stolen bases in all of 2012 with the Nippon Ham Fighters of Japan. The infielder has stolen as many as 34 stolen bases in a season (2010) during his career. He did have his 2011 season cut short due to a fracture in his left foot, which affected his 2012 campaign and ability to steal bases. Heath Hembree entered the week tied for second in the PCL in saves, and he left the week as the league lead dog. The right-hander was a perfect 4-for-4 in save opportunities, although some of those saves were easier than others. On May 10 at Nashville, Hembree entered the bottom of the 12th inning of an already long game (there was a one hour, 13 minute delay in the first pitch). The Grizzlies took the lead in the top half of the inning, but Hembree promptly allowed back-to-back singles to lead off the bottom half followed by a walk to load the bases. With the pressure turned up, Hembree locked in by striking out two and inducing a fly out to end the game unscathed. In his other three outings during the week, Hembree did not allow a hit over 2 2/3 innings. (He did allow an inherited runner to score on May 7, but the run crossed home plate via a sacrifice fly. One cannot blame Hembree completely for doing what he was asked to do: get an out). The Grizzlies finished the week on a three-game winning streak, and those three wins were not automatic wins either. Each win in the three-game winning streak was of the come-from-behind nature. On May 10 at Nashville, the Grizzlies scored two runs in the top of the first — only to have that advantage evaporate when the Sounds tied the game at 2-2 in the bottom half of the first and later score one run in each the fourth and sixth innings. No fear, though, as the Grizzlies scored two runs in the seventh that forced extra-innings. The game turned out to be the longest for Fresno this season, but the wait was worth it as they walked away with a 5-4 win in 12 innings. In the first game of the Memphis series on May 11, the Grizzlies shook off an early-game offensive slumber by breaking out for six runs in the sixth-inning. Pinch-hitter Chris Dominguez capped the frame with a three-run home run. 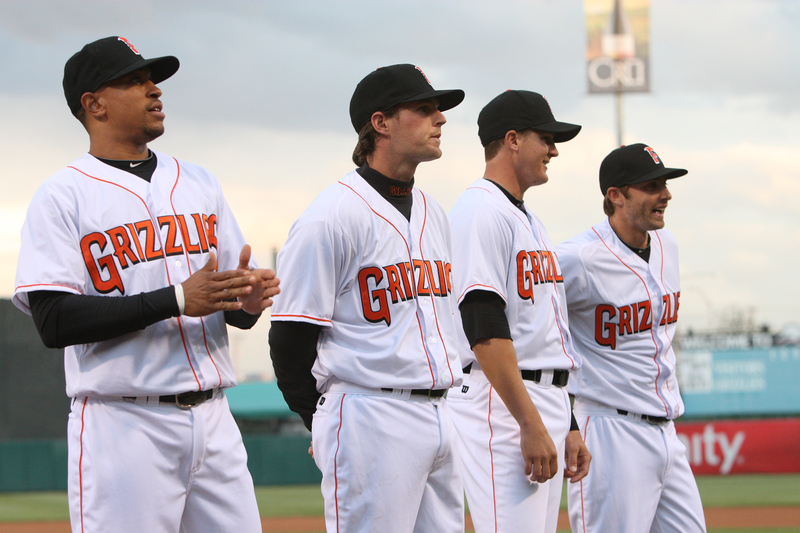 The next day, on May 12, the Grizzlies jumped out to a 2-0 lead in the first inning. For the second time in three days, however, the Grizzlies allowed their opponent to flip the Grizzlies’ advantage into a 4-2 lead of their own. The Grizzlies rallied by scoring two runs in the seventh to force extra innings (as they did two days earlier). The only difference in the May 12 game compared to May 10: the Grizzlies scored more than one run in extra-innings. 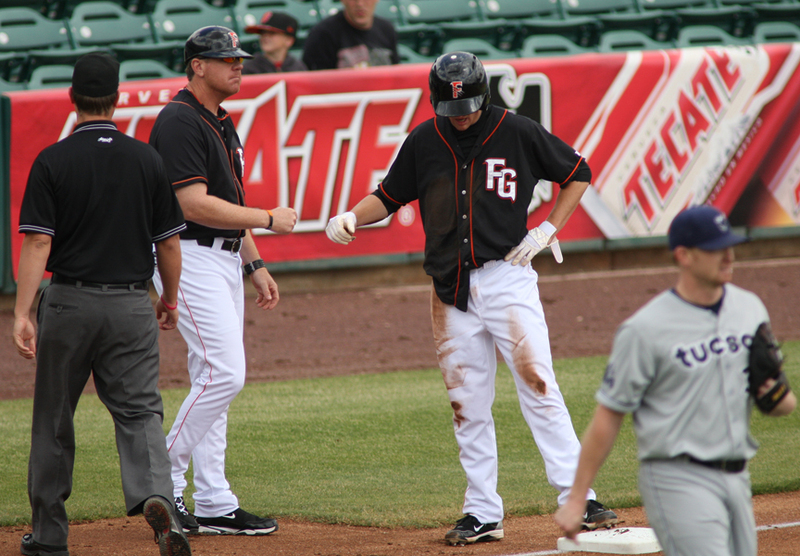 On May 12, the Grizzlies made sure there was no hope for their opponent as Fresno scored three runs in the 11th inning of an eventual 7-4 win. Chris Heston went 2-0 in his two starts this past week despite posting a 6.55 ERA (8er, 11.0ip). Welcome to the PCL. He did strike out 13 and walk two. The right-hander is fifth in the PCL in strikeouts with 42 through May 12. Opening Day for the Grizzlies’ 2012 season is 35 days away (43 until the home opener on April 13th). While the next month will dictate how the Grizzlies roster shakes out, it is time to revisit the 2011 Opening Day roster. Some familiar faces may return to Fresno this season, but several players have moved on to other organizations. Check out the list below to see where they have landed. RHP Josh Banks – signed with the Baltimore Orioles. Banks was without a job until February 28th when he signed with the Orioles on a Minor League contract. The right-hander is local to the Baltimore area as he is from Severna Park, Maryland. RHP Casey Daigle – unsigned. 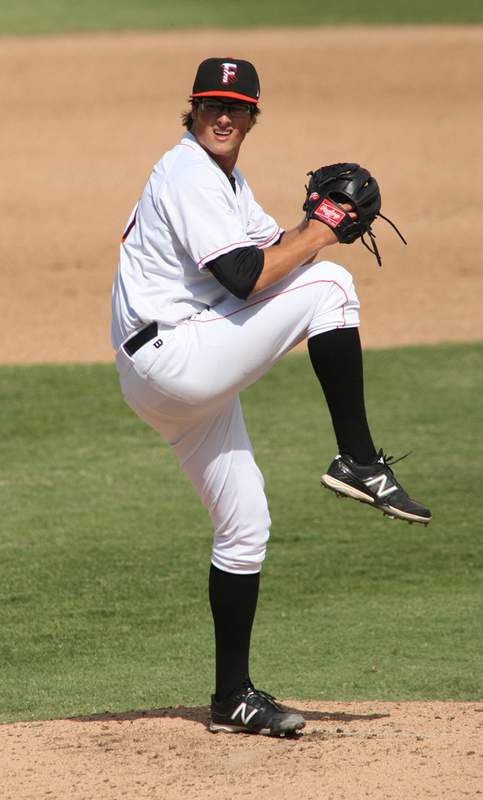 Daigle pitched in 36 games with the Grizzlies last season. He did not pitch in a game after July 10th, however, as he ended the season on the disabled list. 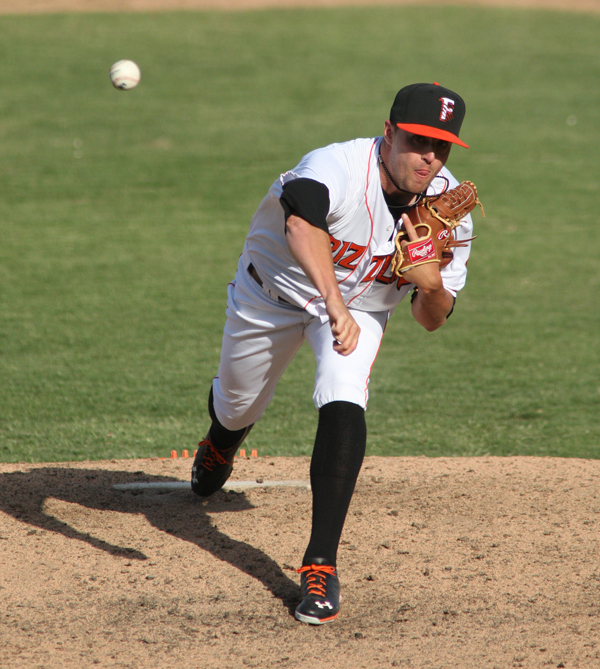 RHP Steve Edlefsen – on the Giants’ 40-man roster. The right-hander made his Major League debut in 2011, pitching in 13 games with the Giants. The 26-year-old, who has pitched in Fresno for parts of the last three seasons, may once again start the year in Fresno this season, but he may also see significant time with the Giants. LHP Alex Hinshaw – signed with the San Diego Padres. The left-hander was released this past offseason, before he was signed by San Diego. The 29-year-old attended San Diego State University, so the transition to America’s Finest City should be an easy one if he pitches for the parent club. Hinshaw was invited to the Padres’ Major League Spring Training as a non-roster invitee. RHP Andrew Kown – re-signed with the Giants; invited to San Francisco’s Major League Spring Training as a non-roster invitee. Kown is a candidate to once again pitch for the Grizzlies, depending on how he performs in Spring Training and what types of opportunities open up at the big league level. RHP Shane Loux – re-signed with the Giants; invited to San Francisco’s Major League Spring Training as a non-roster invitee. Similar to Kown, Loux will more than likely start the season in Fresno if he sticks with the Giants organization. RHP Doug Mathis – signed by the Boston Red Sox. Mathis appeared in 13 games with the Grizzlies in 2011 before joining the Oakland A’s organization midway through the year. The University of Missouri product is in Boston’s big league camp this spring. Former Giants farmhand Tony Pena Jr. is also with Mathis in Boston’s Spring Training as a non-roster invitee. RHP David Mixon – retired midseason last year. After appearing in seven games with the Grizzlies, the right-hander was sent to Double-A Richmond before joining High-A San Jose. In July, Mixon decided to step away from the game and step into a post-baseball career. RHP Henry Sosa – traded to the Houston Astros midseason last year. Sosa is on the Astros’ 40-man roster and figures to contend for a spot in Houston’s pitching staff at some point this season. The Astros are a young team, and Sosa has only made 10 Major League starts in his career, all of which occurred last season. RHP Ryan Vogelsong – re-signed with the Giants on a two-year deal. In case you didn’t hear, the right-hander had a good season last year. LHP Matt Yourkin – re-signed with the Giants; invited to San Francisco’s Major League Spring Training as a non-roster invitee. Once again, Yourkin is in the same boat as Kown and Loux in terms of where he starts this season. If Yourkin pitches for the Grizzlies in 2012, it will be his third-straight season in Fresno. C Chris Stewart – on the Giants’ 40-man roster. Stewart is competing with Eli Whiteside for the backup catcher role with the Giants. C Jackson Williams – still within the Giants organization. Williams is attending big league Spring Training camp for the fifth straight season as a non-roster invitee. 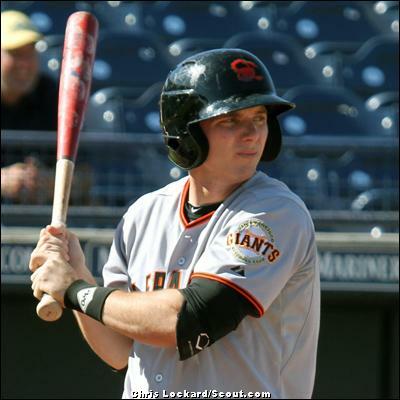 INF Brock Bond – still within the Giants organization. Bond missed most of the 2011 season with an injury. He will be looking to bounce back in 2012, possibly putting up numbers similar to 2010, when he was named a Pacific Coast League All-Star. INF Emmanuel Burriss – on the Giants’ 40-man roster. Burriss is competing for a role with the Giants full-time, either as a starter or as a utility player off the bench. INF Conor Gillaspie – on the Giants’ 40-man roster. Gillaspie appeared in 15 games with the Giants last season as a September call-up. He first appeared with the Giants in a limited role during his first professional season in 2008, all of which was part of his contract. Gillaspie will more than likely start the year in Fresno with his play and opportunities opening up at the Major League level determining where he finishes the year. INF Edgar Gonzalez – signed by the Chicago Cubs. Gonzalez was one of the mainstays in the Grizzlies lineup in a year filled with plenty of roster turnover. He signed with the Cubs organization entering the 2012 season and is participating in the Cubs’ big league Spring Training camp as a non-roster invitee. Plenty of competition exists for Gonzalez in the Cubs’ camp, but Grizzlies fans might have the opportunity to watch him play again in May when the Iowa Cubs pay a visit to Fresno. All of this, of course, depends on Gonzalez staying with the Cubs organization if he does not make the big league club breaking Spring Training. 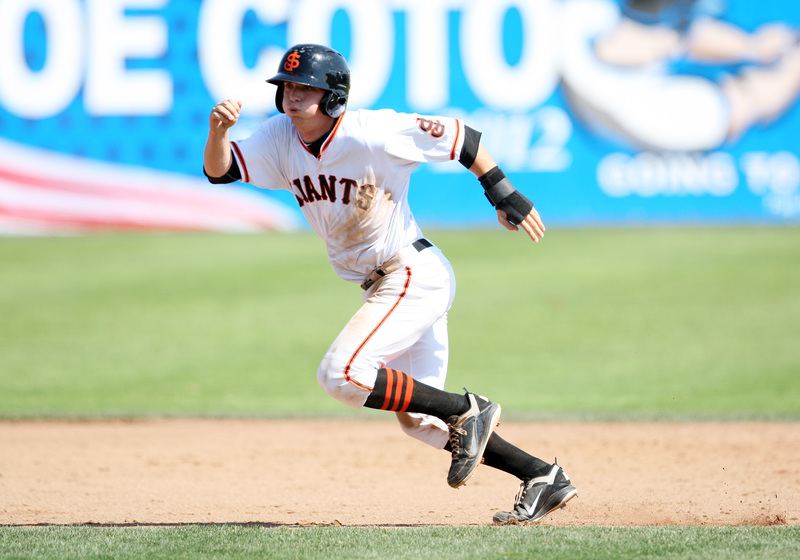 INF Brett Pill – on the Giants’ 40-man roster. Pill is competing for a spot on the Giants 25-man roster breaking Spring Training camp. 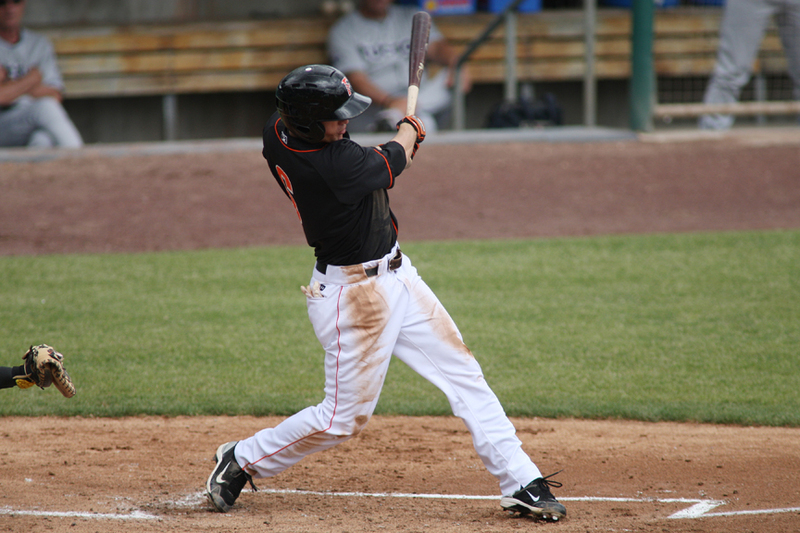 After primarily playing first base for his first five professional seasons, Pill gained some experience at second base with the Grizzlies in 2011. In addition to playing a handful of games at third in the minors, as well as taking some fly balls as an outfielder in Spring Training, Pill is adding versatility to help him make the Giants’ Opening Day roster. INF Ryan Rohlinger – signed a Minor League contract with the Cleveland Indians. Rohlinger was traded to the Colorado Rockies in early June of last season, where he played in 70 games with the Colorado Springs Sky Sox to end the year. The 28-year-old will attend the Indians’ Minor League camp after his deal with Cleveland did not include an invitation to the big league Spring Training. OF Terry Evans – unsigned. Evans opened the 2011 campaign with the Giants organization, appearing in 39 games with the Grizzlies. He opted out of his contract at the end of May, freeing him up to sign with the Philadelphia Phillies. The Georgia native played in 48 games with the Double-A Reading Phillies to close out the 2011 season. OF Darren Ford – signed with the Seattle Mariners. The speedy outfielder was let go by the Giants this past offseason in a reshuffling of the 40-man roster. Ford battled injuries for most of the 2011 season, spending time at four different levels in the San Francisco organization. Ford received an invitation to the Mariners’ Major League Spring Training, but with nine outfielders already on the 40-man roster, Ford will have plenty of opportunity to compete for a spot with Mariners. Worse comes to worse, Ford will land with the Tacoma Rainiers. 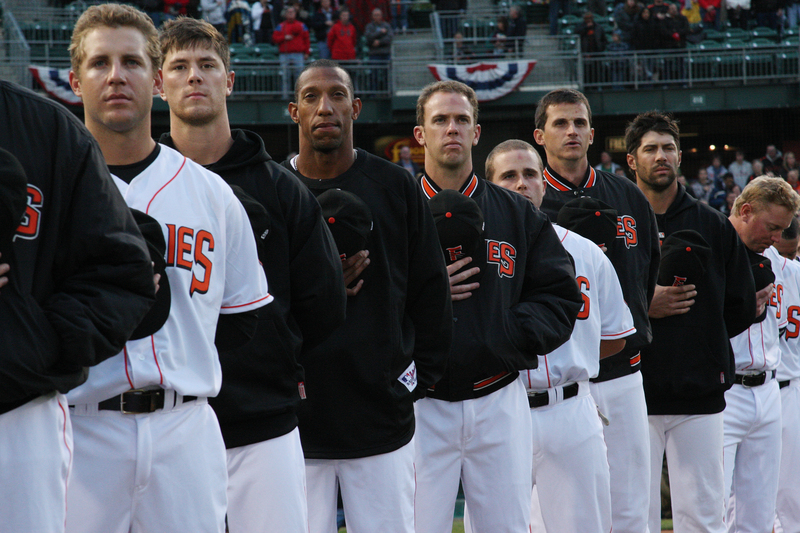 The Grizzlies play the Rainiers to open Fresno’s 2012 home schedule. OF Tyler Graham – on the Giants’ 40-man roster. 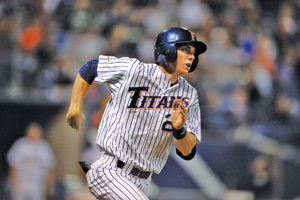 Graham led the PCL in steals in 2011, a year after he batted .343 over 109 games with the Grizzlies in 2010. The Giants added Graham to their 40-man roster this past offseason, meaning Graham could make his Major League debut in 2012 if an outfield spot opens up in San Francisco or, at the very least, as a September call-up. OF Thomas Neal – traded to the Cleveland Indians midway through last season. Neal has secured a 40-man roster spot with the Indians entering Spring Training, but he is facing plenty of competition, including from former Grizzlies and Giants outfielder Fred Lewis. The title of this article is, admittedly, a bit deceiving. It is, in fact, far easier to catch up with than it is to catch up to Tyler Graham. Of course, I don’t have to tell that to any Grizzlies fan, nor any battery in the Pacific Coast League. Ever since Graham received a chance promotion from Double-A in early May of 2010, he has thrilled the Fresno crowds with his blazing speed. After two big years in Triple-A, including a franchise record-shattering 60 stolen base performance in 2011, Graham has run all the way onto the San Francisco Giants 40-man roster. For those who are not as familiar with baseball’s intricate rules surrounding its various player designations, the 40-man roster serves several purposes. It is the group from which the 25-man active Major League roster is derived. One cannot become a Major Leaguer before first being added to the 40-man. The act of adding a new player to that roster is called “purchasing a contract”, and is what happened to both Brett Pill and Justin Christian in September. Residency on the 40-man also protects a player like Graham from the upcoming Rule V Draft, which I will leave you to read about in further detail here, should you choose to do so. Finally, it means an automatic invitation to Major League Spring Training next spring, which will be a first for Graham in his seven-year tenure in the Giants organization after being selected in the 19th round out of Oregon State in 2006. The speedy center fielder found out about his addition to the roster via text message on Friday night in Culiacan, Mexico, where he is currently playing winter ball for the Tomateros (which, according to Google Translate, means “fryers”). Graham also received a follow-up phone call from Giants VP of Baseball Operations Bobby Evans with the good news. Graham is a native of Great Falls, Montana. To suggest that his hometown lies on the periphery of the baseball world would be kind. In fact, according to baseball-almanac.com, Graham’s home state has produced just 21 Major Leaguers in the history of the sport, including just one— Mets catcher John Gibbons, who played in a grand total of 18 games over two seasons— from Great Falls. Not that any of this matters, particularly, except to say that Graham certainly came in to professional ball with no particular advantages over any of his peers as he tried to fight for respect, and playing time, throughout the minors. There was another battle that Graham faced early in his career, though, that as Graham matured, he realized he needed to better prepare himself to fight. Graham has been able to keep himself on the field the last couple of seasons, during which he has played in 236 games with the Grizzlies, but he has made just 847 plate appearances over that span. By comparison, Boston center fielder and leadoff hitter (as well as Graham’s former teammate at Oregon State) Jacoby Ellsbury stepped to the plate 729 times this season alone over 158 games, and the Pirates Andrew McCutchen (another leadoff-type center fielder) 678 times over the same amount of games. Now, I’m certainly not suggesting that these numbers will translate across the board at the Major League level. The quality of pitching in the National League is undisputedly better than that in the PCL. But the precipitous drop-off that we are often cautioned to expect from hitters that graduate out of our circuit is perhaps not as easily applied to Graham. After all, the notion is that power numbers will dissipate, turning home runs into doubles at best, long fly ball outs at worst. Graham has never been a power hitter, and makes his living with line drives and worm-burners. So while it is conceivable that stronger infield defenses will take a hit away here or there, the parks themselves should not work against his ability to succeed. It is more notable to mention that Graham’s 76 stolen bases would have led the Major Leagues by 15 over Michael Bourn, who had 12 more swipes than the next closest big leaguer in 2011 (Coco Crisp/Brett Gardner, 49). Granted, Graham will need to continue to find ways on base to be able to come close to replicating those figures, but it is an impressive total, nonetheless. Another way in which Graham’s speed defines him, one that is often overlooked, is his outfield defense. Capable of playing all three positions, he has shown flashes of ability as a plus defender in center field, one of baseball’s most demanding positions. Always with an eye on how talent will translate at the Major League level, there is no doubt that the Giants place a premium on outfielders who can cover AT&T Park’s expansive outfield. While Gary Brown is the eventual heir apparent in that space, Graham’s name is now in the mix along with the likes of Christian and Andres Torres to show what he is capable of in 2012. Knowing that his naturally spry legs are what lend him both his baserunning ability and outfield range, Graham’s priority has become keeping himself healthy. With those first two years cut short by injury, he had to rethink his commitment to keeping his body in top shape. It was perhaps fitting, then, that his big break (so to speak) came when a more highly-touted player in front of him on the depth chart, Mike McBryde, suffered a broken hand while playing in Fresno last season. With no other true center fielder on the roster, Graham— who had been riding the bench in Double-A following his own injury on Opening Day— found himself in the lineup early and often. He made the most of his chances, going 13-for-23 (.565) with four doubles, six runs scored, four RBI and four stolen bases over his first eight games, and going on to hit .343 with 35 stolen bases. The rest, as they say, has been history. Specifically, franchise history, both in the form of the single-season (60) and career (95) franchise stolen base record here in Fresno. Graham’s focus now is on doing what he has done successfully the last couple of years, preparing himself to be ready to hit the ground running in Scottsdale in February. It is officially that time of year again, when the leaves abandon their spring and summer green for shades of yellow and crimson, when the morning chill forces us to shake the dust from our sweaters and jackets, tucked away since the beginning of the baseball season. That means it is also time for everyone from VH1 to us here at Yard Work to break out our “best of” lists for the year gone by. 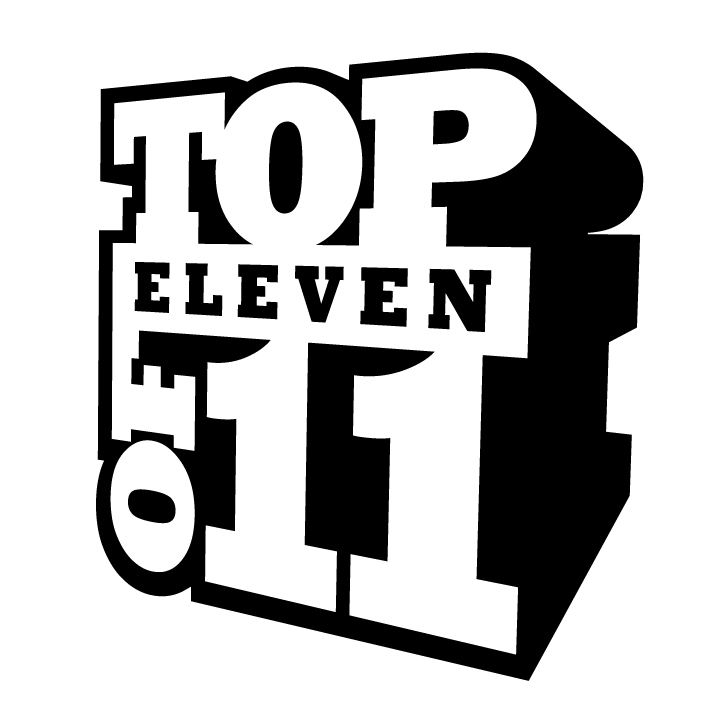 In that spirit, we will be rolling out our Top Eleven of ’11, the best 10+1 moments of the season past on fresnogrizzlies.com. Our crack panel has assembled what we believe to be the memories that stand above the rest, and will be releasing them every Monday-Wednesday-Friday beginning today until we reach number one. You’re sure to see some highlights from Brett Pill and Tyler Graham, but do you remember the other great games and individual moments from 2011? Will your favorite memory of the season make the list? We start things off with the season’s first game. Opening Night was a pitcher’s duel most of the way, as Ryan Vogelsong and Brad Mills battled unseasonably cold April weather that even brought hail prior to the game. With the score 2-1 entering the bottom of the eighth, the sky opened up, bringing heavy rain with it. Both teams fought through the conditions, but the Grizzlies took advantage of the situation. Fresno plated nine runs in the inning— capped by Darren Ford’s grand slam— before the 51s could record an out, scoring an 11-1 victory to open the 2011 campaign. Brett Pill collected three hits, none bigger than his career-high 20th home run, a three-run shot in the sixth inning. That gave Jonathan Sanchez more than enough breathing room as he cruised to a 12-3 victory over Salt Lake in his first rehab start with Fresno in 2011. Two nights after Emmanuel Burriss set the single-game franchise record with four stolen bases, the Grizzlies combined to swipe a mind-boggling 10 bags in one game against Las Vegas. Five different players got in on the act, with Terry Evans and Darren Ford collecting three steals apiece and Tyler Graham notching a pair in an 8-5 victory. Pablo Sandoval took no time at all to get the crowd into the game in his first rehab start, following Tyler Graham’s lone home run of the season two batters later with a two-run shot of his own as part of a seven-run second inning. Sandoval added two more RBI on the night as the Grizzlies blew out Las Vegas by a final of 12-4. The Grizzlies slugged two sets of back-to-back home runs, with Conor Gillaspie and Edgar Gonzalez turning the trick in the third inning and Brad Eldred and Jackson Williams accomplishing the feat in the eighth frame. Fresno finished with a season-high five home runs in the 8-5 victory over Oklahoma City, and would stunningly go on to hit back-to-back shots a total of nine times throughout the 2011 season. Severely short-handed following call-ups and injuries, the Grizzlies faced Las Vegas in a doubleheader on June 5th. Shane Loux turned in his best start of the season in Game One, shutting out the 51s on just three hits in a 3-0 victory. Then, in Game Two, recent A-ball addition James Simmons hit a pair of towering home runs over the batter’s eye as the Grizzlies hung on for a 5-4 victory and a sweep of the twin-bill. Following a pair of one-run victories over rival Sacramento, the Grizzlies found themselves in a 6-4 hole entering the eighth inning in the final game of the three-game set. Fresno came back to tie the game on solo shots by Brandon Belt and Conor Gillaspie, then pushed in front for good thanks to back-to-back, two-out doubles by Thomas Neal and Max Ramirez, leading to a 7-6 victory on July 6th. Barry Zito followed a decent first rehab start with an absolutely dominating performance in his second outing at Chukchansi Park. Mixing his pitches and flashing his trademark curveball, he kept Salt Lake batters off-balance all night, with solo home runs by Brad Eldred and Darren Ford providing more than enough support. In the end, he finished off a 118-pitch, complete game, two-hit shutout of the Bees on June 21st. Some records are set in meaningless contests, with no real impact on the outcome of the game. Tyler Graham’s single-season franchise stolen base mark was not one of those records. After leading off the bottom of the ninth inning with a single in a 3-3 tie against Tucson on July 9th, he stole second and third to give him 43 steals on the season, surpassing Calvin Murray’s mark of 42, set back in 1999. He sat 90 feet from home as Justin Christian lofted a fly ball to shallow center, darting home after the catch and belly-flopping into home plate ahead of the tag with the game-winning run as Fresno walked off on the Padres, 4-3. The Taco Truck Throwdown grew from a good idea, to an explosive theme night, to a nationally recognized promotion. The Grizzlies drew a vibrant crowd of 10,287 fans on the final Thursday night of the season and beat rival Sacramento, 7-4, on August 25th. The Throwdown went on to win its 10-promotion category for Minor League Baseball Miscellaneous Promotion of the Year, giving the Grizzlies five straight years of MiLB Promo Finalists, a streak unmatched in the sport. In front of the largest crowd of the year, the Grizzlies got off to a dismal start, spotting rival Sacramento a 5-0 lead heading to the bottom of the fourth. But Fresno clawed back within 5-3, then got back-to-back home runs from rehabber Mike Fontenot and Edgar Gonzalez in the bottom of the eighth to tie the game at 5-5 and send it into extra innings. The Grizzlies loaded the bases on a single and a pair of walks to set the stage for Gonzalez once more, who singled to center field to score Justin Christian with the game-winning run, sending the crowd of 13,455 into a frenzy and setting up what would turn out to be three consecutive one-run victories in the Highway 99 Showdown Series. Thanks to all our fans for a great 2011, see you all on Opening Day, Friday April 13, 2012! Most would say that infielder Brett Pill’s biggest fan is his mother, but she has some recent competition. 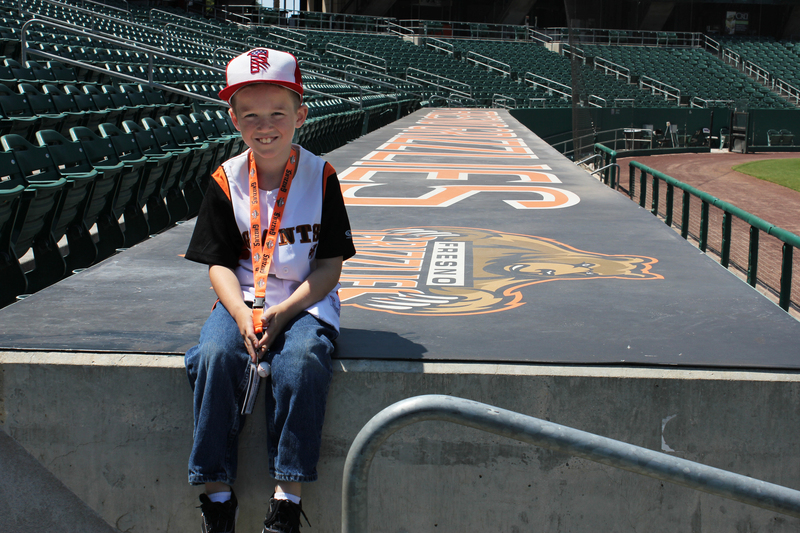 Eight-year-old Rhett Noblett began playing little league this year, which sparked his interest in the Fresno Grizzlies. 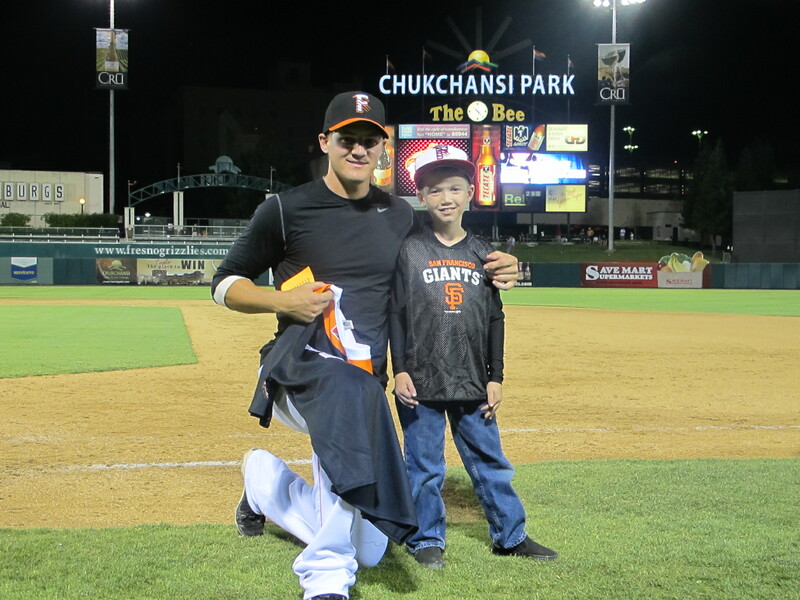 He witnessed his first professional baseball game at Chukchansi Park earlier in the season and that is where he laid eyes on his soon to be favorite player, Brett Pill. A few months later, Rhett attended the annual Grizzlies Baseball Camp that is run by Grizzlies players, coaches, and manager Steve Decker. He sported a different Pill jersey almost everyday of camp, which caught the eye of staff members and players. 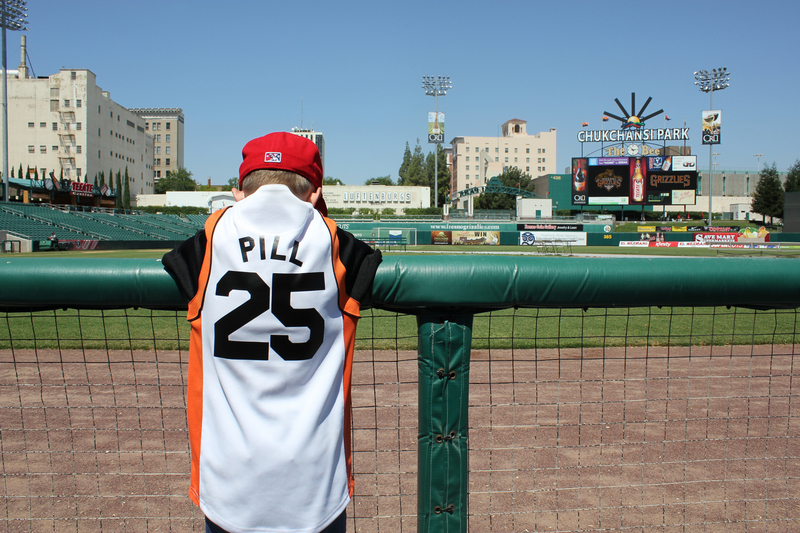 Even when the Grizzlies are away from Chukchansi Park, Rhett always asks his parents to check the game online to see how Pill is doing that night. Pill knew exactly which kid it was when he was asked about his youngest fan. When a fan purchases the jersey at an auction, they are escorted onto the field to pose for pictures with the player. Before Rhett and his father even approached him on the field, Pill was looking into the stands, trying to get his family’s attention so he could point out his young fan to them. Brett took a knee and posed for pictures with Rhett and his new, game-worn jersey. Rhett probably never thought that he would inspire his favorite player to run a little faster or dive for the ball a little harder, but that is exactly what he is doing. Rhett and his family plan on attending as many Grizzlies games as they can to get a glimpse of Pill before he reaches the majors. It just goes to show that even the smallest fan can have the biggest impact on a player, even one on the brink of the majors.